Health IT security is needed by organizations to combat cybercrime and ransomware that hospitals and healthcare organizations are susceptible to. The complex infrastructure and the range of devices used by healthcare organizations provide a host of entry and pivot points that cybercriminals can exploit. This requires hospitals and healthcare organizations to be equipped to sustain the evolving threat landscape and comprehend the most common areas of cyber security risk. Amongst all attacks that hospitals and healthcare organizations are susceptible to, ransomware has surfaced as the most feared hacking technique. The technique has the potential to allow hackers to seal access to data until a sum of money is paid to them. As per findings of a recent research, hospitals are the target of 88% of cases of ransomware. The other areas that pose risk of data breach for hospitals and healthcare organizations are inadequately secured IoT devices and human error element. This, along with HIPPAA and other regulatory requirements necessitate health information to be protected. Healthcare organizations have plentiful serious security considerations that must be timely addressed in order to ensure patient safety and privacy. Healthcare organizations are implementing a number of processes to maximize the security effort and attain compliance. These are establishing a security plan, prioritize offline storage, secure biomedical devices, educate users, and train patients. This is because information security and patient privacy are key components of a well-operating healthcare environment. Moreover, the privacy and security realms of healthcare information and management systems society (HIMSS) provide resources so as to assist healthcare organizations with their privacy and security goals. Increasing incidences of highly specialized and extensive data security breaches in the healthcare industry has brought to the fore the pressing need to employ effective security measures across healthcare IT systems. Data breaches continue to cost the healthcare industry hefty sums on an annual basis, with countries having technologically advanced healthcare infrastructures such as the U.S. and several European countries suffering the most. As a result, the tremendous monetary pressure as well as negative publicity that weak cybersecurity can bring to an organization is garnering increased focus and the healthcare industry is ramping up its spending on IT security. 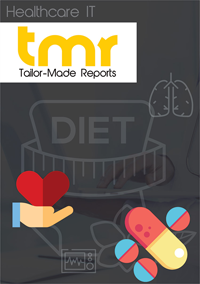 This report on the global health IT security market presents a detailed overview of the growth dynamics of the market in present times and includes vast projections regarding the growth prospects of the market over period between 2016 and 2024. The report includes comprehensive qualitative as well as quantitative data pertaining to key market segments and their valuation, expected rate of growth over the mentioned period, and overall attractiveness across regional markets. The healthcare industry is coming to terms with the fact that data breaches have been consistently rising in terms of impact, frequency, volume, and cost over the past few years. Also, the fact that data breaches in present times are highly professional in the way they are planned and executed makes it necessary for healthcare organizations to be equally proactive and prepared in the way security of the organization is planned and executed. The need to assess the present state of security readiness and implement a much more effective security model is the key factor driving the global health IT security market. The market is also driven by the increasing penetration of mobile devices in internal networks of a healthcare IT infrastructure, stringent regulations, and rising spending by government bodies on IT security. Evolution of highly effective futuristic IT security solutions for the healthcare industry and the increasing adoption of cloud computing models for accessing IT security solutions at economical and pay-as-use pricing models are also fueling the adoption of health IT security solutions globally. The key product varieties offered by the health IT security market include risk and compliance management solutions, disaster recovery, firewalls and unified threat management solutions, antimalware and antivirus, intrusion detection/intrusion prevention systems, and identity and access management solutions. On the basis of services, the health IT security market can be segmented into upgradation, maintenance, implementation, managed services, consulting, and on-going support. The key applications of health IT security solutions are found across areas such as endpoint security, content security and network security. Based on the mode of delivery of health IT security solutions, the market is segmented into on-premise, cloud, and hybrid. The key end users of health IT security solutions are healthcare payers (insurance firms) and healthcare providers. From a geographical perspective, developed regions such as Europe and North America are the leading contributors to the revenue of the global health IT security market. The digitally and technologically advanced healthcare infrastructures in these regions have been the prime targets of the recent times’ most costly and sophisticated cyber-attacks. In response to this, these regions are significantly increasing spending on cybersecurity. These regions are expected to remain the leading contributors to the global market in the next few years as well. In the highly competitive and fragmented vendor landscape of the global health IT security market, no major vendor accounts for a dominant share. Some of the leading companies operating in the market are Intel Corporation, SailPoint Technologies, Symantec, Hewlett Packard, AT&T, EMC Corporation, IBM Corporation, Wipro, and Verizon.